Summertime in the Live Music Capital of the World® means warm nights, bright lights and live concerts. So grab a drink and a friend or two, and head over to one of these iconic music series throughout the city. 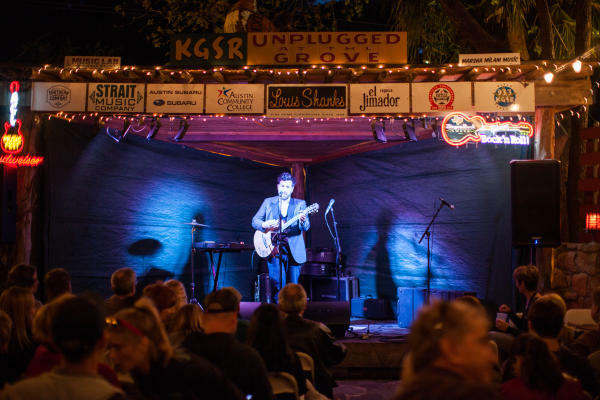 Sit beneath the strung lights and the sprawling pecan tree stretched over Shady Grove’s patio, and catch a live concert at this free music series beginning at 8 p.m. every Thursday night from April until September. While you’re here, grab a cold one and fill up on Austin-inspired home cookin’ while hanging out with locals. Pack your cooler, grab a picnic blanket and stake out your spot on the grass at Zilker Park to enjoy the longest-running free concert series in Austin: Blues on the Green. This is the spot where Austinites gather all summer long to enjoy local music, tasty food and good company. Concerts begin at 8 p.m.
Who doesn’t love a free event? This annual concert series at 3TEN ACL Live —located just beneath ACL Live at The Moody Theater — features a free concert every last Wednesday from 5-8 p.m., April through September. While you’re here, indulge in free food samples, sip happy hour-priced wine and browse local pop-up shops. After the concert, stroll 2nd Street District for even more nightlife options. Saturday Night Concert Series at the Hill Country Gallery. Courtesy of Sun Radio. Spend your Saturday nights in the Hill Country at the Hill Country Galleria Central Plaza’s annual, outdoor live music series. Sun Radio presents this weekly series, featuring Americana, soul, rock &apos;n roll and true Texas country from local and national acts (May and June). 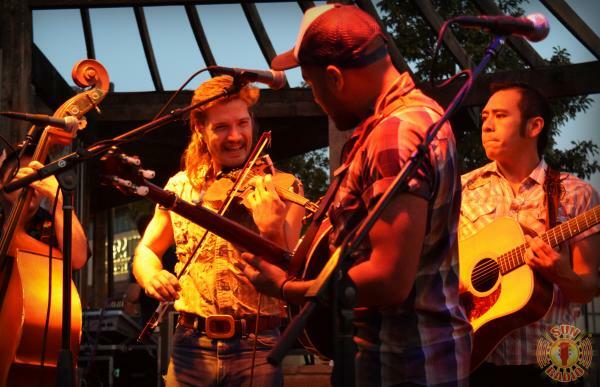 Spend the afternoon browsing the fascinating Texas history exhibits at the Bullock Museum, and then stick around for the free concert series in the Lone Star Plaza, where you can watch local musicians perform every Friday in July from 6-9 p.m. If classical music is your jam, you won’t want to miss this annual music series held on the grassy lawn of Hartman Concert Park at the Long Center. On Sunday evenings in the summer, bring a lawn chair or a picnic blanket, and kick back to a soundtrack of orchestral tunes while taking in city skyline views. Check the events calendar for even more live music this summer.